This is a story I have been trying to write all day, but new things keep happening in it and very little of it makes sense. 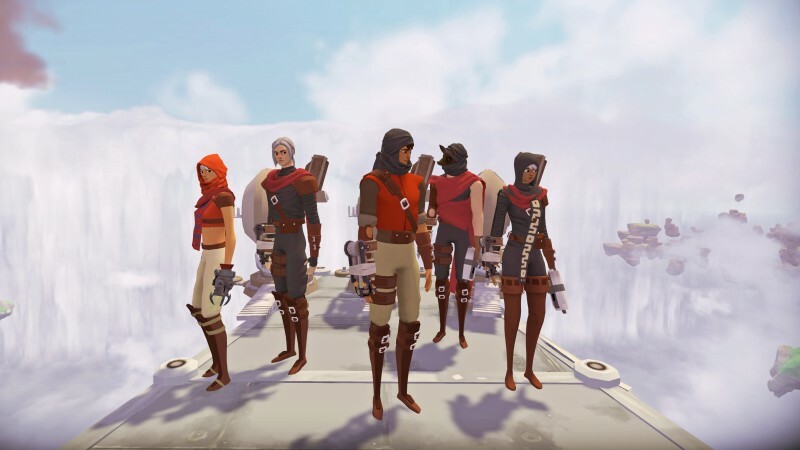 A British company called Improbable Worlds Limited, has a game platform called SpatialOS, which itself uses the game engine Unity and is known for games like Worlds Adrift and the upcoming Lazarus, and it is used in several released and in-development games. Early this morning, Improbable issued a statement that alarmed many developers stating Unity found Improbable and SpatialOS in breach of their terms of service and puts all the game using SpatialOS at risk. At the time, developers on social media began panicking about what they meant. Those with completed games that utilized SpatialOS pulled their games from the market in fear of legal repercussions for breaching terms of service. Many developers with games still in the works spoke out about the tyranny of Unity for doing this and essentially ending years of work with one overnight decision. A lot of people were waiting for Unity to explain their decision and hopefully take it back. Instead, Unity provided the first major twist by denying Improbable’s story and pointing the finger at them, suggesting that Improbable violated their terms of service knowingly and wrote the blog post despite being aware their facts were wrong. Unity confirmed they would be supporting all the developers who have been using SpatialOS, whether previously or currently, but aren’t granting any further licenses thanks to this disagreement with Improbable. Which you would think would kind of be the end of the story, but then Improbable released their own statement, again, in response to Unity. And it’s real weird. Improbable released a statement that half-apologizes for the furor but in no way acknowledges any of Unity’s response. Instead, the company has a “kumbaya”-style response about bridging the gap between engines, developers, and consumers. To make matters even more twisted, Epic and Improbable announced a few minutes ago that the two companies are teaming up to “assist developers who are left in limbo by the new engine and service incompatibilities that were introduced today.” Despite Unity arguing that they are not imperiling any games using SpatialOS, Epic and Improbable have set up a $25,000,000 fund to entice developers away from Unity. “Epic Games and Improbable would like to jointly reaffirm our commitment to giving game developers the best combination of engine and other technology backed by interoperable standards that work for everyone, while respecting developers’ ability to choose partners and software components freely,” Epic wrote in a blog post, which itself links to Improbable’s initial post that Unity denied. It bears mentioning that the Unity engine serves as a rival game engine to Epic’s own Unreal Engine, a cornerstone of their business. It is impossible to know where this story goes from here, but it’s already changed several times since starting to write it, so I can’t imagine it’s over with now.